O’Connor is the most confident in adopting a fabricated persona, hurling out colloquialisms and flippant quips about lies, truth, assumptions...certainly the standout comedy piece of the evening. 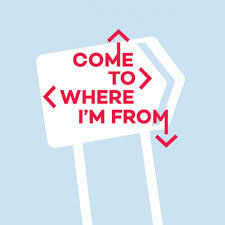 COME TO WHERE I'M FROM visits Glasgow to invite four of the city’s finest playwrights, Linda McLean, Gary McNair, Martin O'Connor and Anita Vettesse, to join our celebrated nationwide project. Since 2010 writers from across the UK have returned to their home towns to pen plays about the places that shaped them. At theatres from Bristol to Belfast, Cardiff to Coventry and Nottingham to Newcastle, these plays have been performed by the playwrights themselves, coming home to tell their tale. Together they create a theatrical tapestry of the nation – a playwright’s guide to Great Britain.